Turned newel made from pine by Richard Burbidge. The Hallmark range has been carefully designed to offer maximum affordability while retaining quality. Traditional in style, Hallmark is easy to fit and will look great in almost any style of home. All components are made to Richard Burbidge's usual exacting standards. 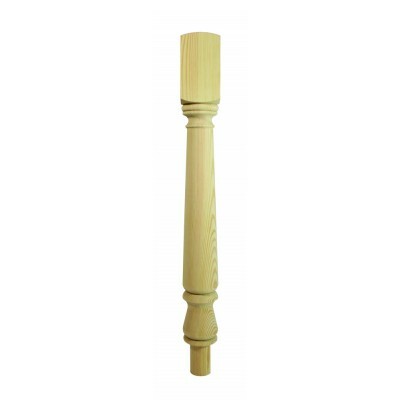 Please note that this newel is not supplied pre-drilled as in the bracket fix system, but is designed to be attached to the handrail using traditional mortise and tenon joints.